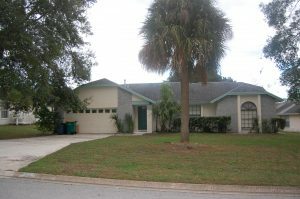 Located in the popular Indian Ridge community this 4 bedroom 2 bathroom pool home has just been repainted on the outside and is looking for a new owner. The L- shaped pool deck provides a great private outdoor area to relax and / or entertain. Low HOA and close to shops and restaurants on Hwy 192. Currently tenant occupied (same tenant for last six years) this would make a great investor property or family home.